Azaleas are not my favorite flowering shrub. I am especially perplexed by those who snip and style them into what ends up looking like giant jelly beans or gumballs. This hillside of azaleas won me over, with their more natural shapes and jumble of colors flashing in the dappled light of the just-budding trees. 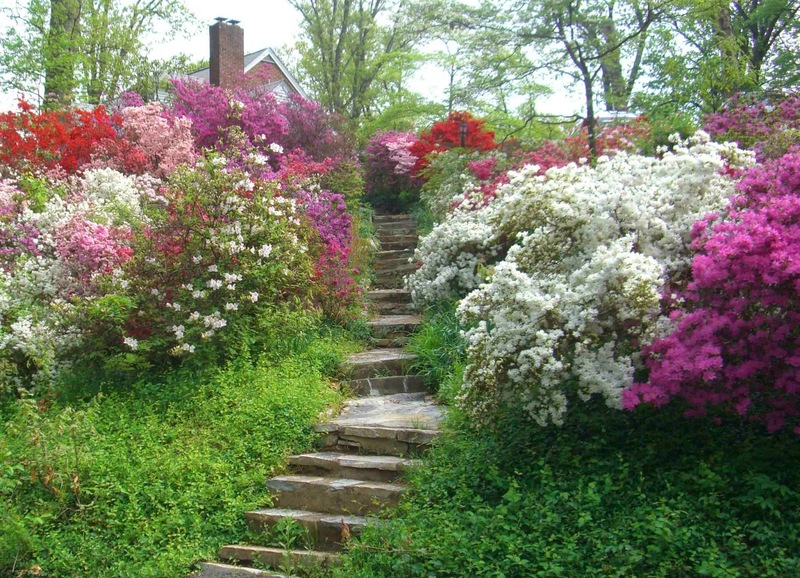 Together with the stairs, they form a perfect picture of a perfect moment in spring.